Julie received her B.A. from Denison and her J.D. from the University of Southern California. 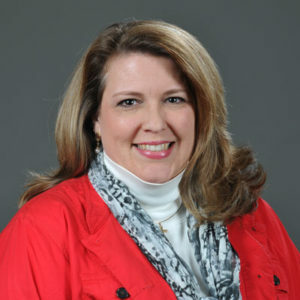 She returned to the college in 2000 as Vice President for Institutional Advancement and leads the fundraising, communications and alumni relations efforts. She also serves as a member of the president’s senior staff. 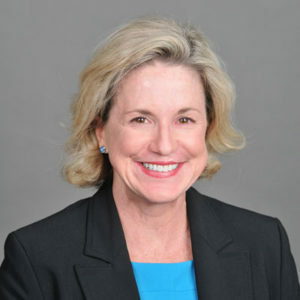 Prior to returning to Denison, Julie practiced law in Los Angeles and directed advancement efforts at Stanford University’s Southern California office, the University of Pennsylvania, and Friends’ Central School in suburban Philadelphia. Greg earned a B.S. in education from Bowling Green State University and holds a M.A. in higher education and student affairs from Ohio State University. 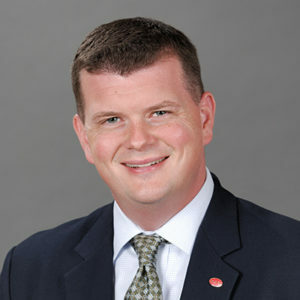 He currently serves as the Associate Vice President and provides oversight of Gift Planning, Stewardship, the Denison Annual Fund, the Office of Major Gifts and campaign planning. Greg has worked in advancement for over 16 years and joined the Denison community in 2003. He previously managed student calling, young alumni programs, and both reunion and leadership giving. Betsy has worked in higher education for over 30 years. Her broad experience comes from both private and state universities and crosses a variety of departments from teacher education, music and libraries to academic affairs, marketing/public relations and advancement. 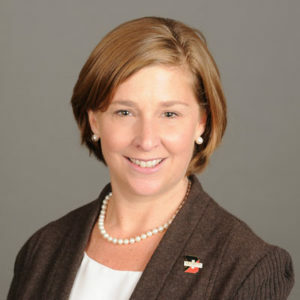 She joined Denison in 2006 as the assistant to the vice president for advancement. Ed loves working with donors and their advisors to figure out how best to do what they want for Denison, other causes and their families. 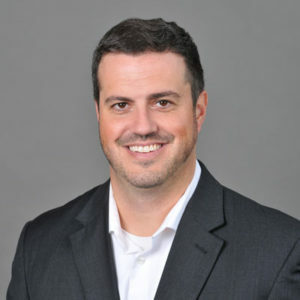 A CPA and CFP® professional, he has been in gift planning since 1996 and served his alma mater, Manchester University in Indiana, Riley Children’s Foundation, Indianapolis, and Gettysburg College in Pennsylvania before joining Denison in late 2015. He began his career with Price Waterhouse in South Bend and Orlando, then served in financial roles at McPherson College, Kansas, Elizabethtown College, Pennsylvania, and as vice president and treasurer of his alma mater. He holds an MBA from Temple University and a BA with high honors with majors in accounting and economics-business from Manchester. Murley received a B.S. in Education from Ohio University and has worked in higher education development for the majority of her 25 year fundraising career. She joined Denison’s Institutional Advancement team as Director of Major Gifts in 2014 where she works with donors to secure support for Denison initiatives. 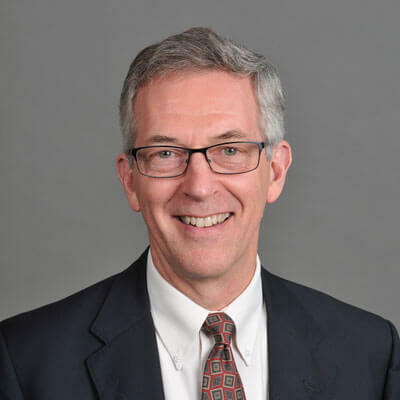 Murley, credentialed by CFRE International, served recently as Vice President for Advancement at Ohio Dominican University and as Director of Development for The James Cancer Hospital at The Ohio State University. 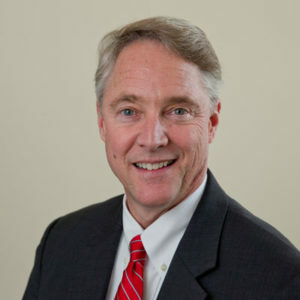 Prior to coming to Denison, Bill was at The Ohio State University where he was most recently a Senior Director of Development. During his ten years at OSU, he was Regional Major Gift Officer and a Gift Planning Officer. Prior to OSU, Bill spent nearly twenty years as a Sales and Marketing professional. Bill has a Bachelor of Science from the University of Illinois, and a Paralegal Certificate from Capital University Law School. In her role as a major gifts officer for Denison, Mandi works with alumni and friends of Denison in the Chicago and Cleveland areas, as well as in New England and Southern California. 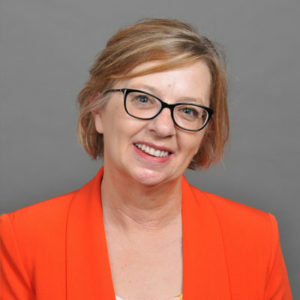 Prior to coming to Denison, she was the director of development for the Ohio University Lancaster Campus for six years, and she served as director of development and external affairs for the Decorative Arts Center of Ohio for five years. Mandi earned her B.A. in English from DePauw University, and she holds an M.A. in organizational communication from Ohio University. She lives in nearby Lancaster, where she is a volunteer in her children’s schools and a member of the Kiwanis Club. Laura received a B.A. from Denison University and a J.D. from the Chicago-Kent College of Law. Laura worked as an Assistant State’s Attorney for the Cook County State’s Attorney’s Office, Criminal Division, for three years and then Vice President and General Counsel for a real estate investment firm for 13 years. Laura returned to the Denison community as a Development Officer in 2010, and works with alumni, parents, and friends in Colorado, Chicago, Wisconsin, Indiana, Kentucky, Tennessee, Minnesota, and on the east coast of Florida. Ryan has returned to the “fair college on the hill” having received a B.A. in Religion and Political Science from Denison. He also obtained a M.S. in Athletic Administration from Ohio University. As a Major Gifts Officer, Ryan works primarily with alumni, parents and friends from SW Ohio, Kentucky, Tennessee, Maryland, DC, Virginia, North Carolina, South Carolina, Southern Georgia, Northern California, Oregon, and Washington. His background includes working with interscholastic and collegiate athletics and financial advising. Ryan currently lives in Columbus. 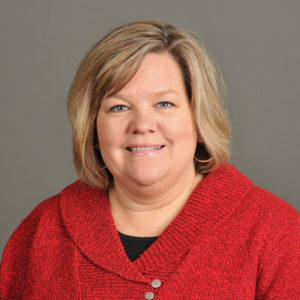 Susan's professional fundraising experience began as a Loaned Executive to the United Way of Southeastern Michigan as part of her tenure with Federal-Mogul. In her most recent role she served as The Director of Development for The Works: Ohio Center for History, Art & Technology. Overseeing a capital campaign, annual giving campaign, volunteer council and highly successful events. 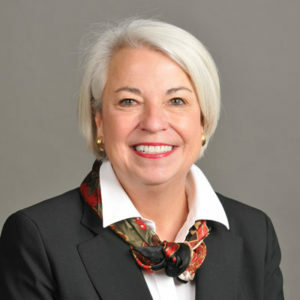 Susan held a variety of leadership roles with Federal- Mogul Corporation including Customer Service Manager, Human Resources Manager, and Training Director while relocating around the country. 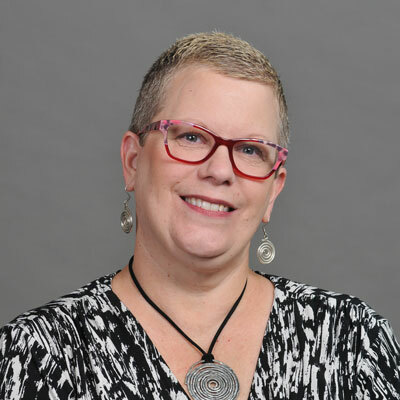 Her diverse work experience and volunteering for her alma mater led to the role of Associate Director of Alumni Relations at Denison from 1999-2005 and her current role of Senior Development Officer, Parent and Family Philanthropy and Engagement. Susan resides in Granville, Ohio with her husband, a fellow Denisonian, and their three children. 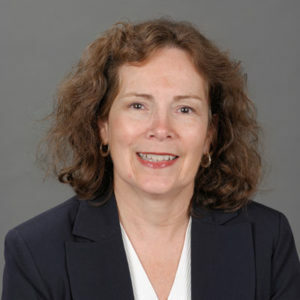 Diane earned her bachelor’s degree in consumer relations from The Ohio State University. 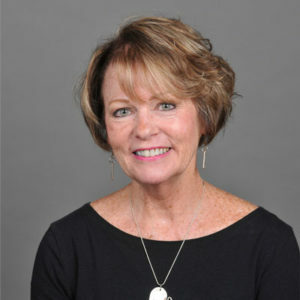 After working several accounting and office management positions in the for-profit arena, Diane joined the Denison development office in 1998. During the last 15 years, she has worked as the planned giving program assistant and as one of the coordinators of the 50th reunion program. Dave earned his B.A. in English from Denison in 1985, followed by a 30-year sales and marketing career in the advertising and media industries in New York. This included leadership positions with Ogilvy & Mather advertising and Time Inc., as well as internet start-ups. 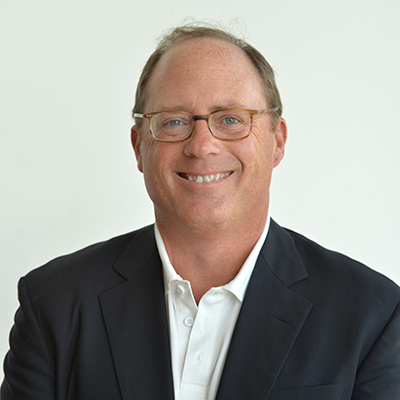 During his tenure at Time, Dave led ad sales for People magazine, served as the publisher of both Health and Sports Illustrated for Kids brands, and was responsible for the company's corporate ad sales team. More recently, he was director of sponsorship for the Clinton Global Initiative. Dave returned to Denison as a senior development officer in early 2017 and is responsible for working with alumni and parents in the New York metropolitan area, as well as the Philadelphia and Atlanta regions. Dave's work is based in New Canaan, Conn., but he endeavors to be on Denison's beautiful campus as frequently as possible. Brenda joined the Major Gifts team as an administrative assistant in 2016. She attended Columbus College of Art and Design majoring in Advertising and Graphic Design. Prior to coming to Denison, Brenda was the Marketing and Communications Manager and also served as the Executive Assistant to the president at Junior Achievement of Central Ohio. Maureen earned a B.S. in business administration from Ohio Dominican University. 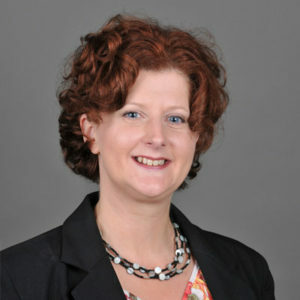 She joined the Denison staff in 2008. She facilitates relationships between donors and students through maintained scholarships. Maureen has worked in stewardship and volunteer-coordination roles for the last 10 years, after working in the telecommunications field with network design and major account management roles. Kelly received her B.A. in education from Ohio Northern University. She spent more than twenty years as a software trainer for corporate employees and college students. 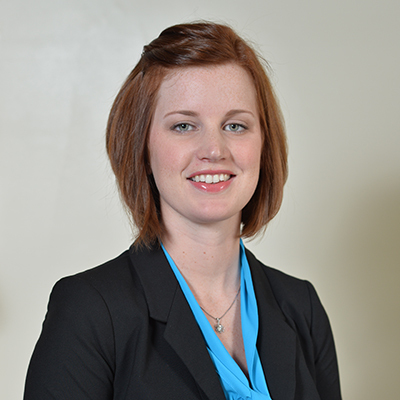 Kelly joined Denison's Major and Planned Giving office in 2014 as the administrative assistant. Billie earned her B.A. in global studies and M.Ed in educational administration from Ohio University. She has worked as a professional fundraiser since 2006, starting with the American Cancer Society and working her way into higher education at Ohio University, where she served as the director of annual giving. Billie was appointed as director of the annual fund at Denison in January 2017 and loves working with the college's alumni, families, and friends to support current and future Denison students. 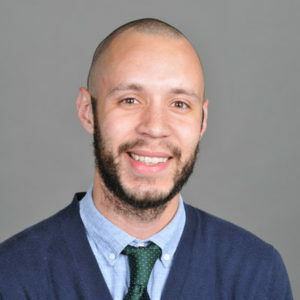 Karmell joined the Annual Fund team in 2017. 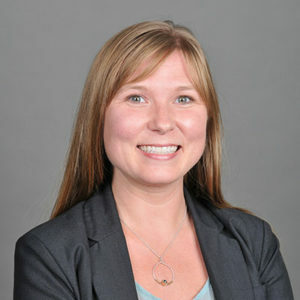 Karmell worked in admissions prior to beginning her career in development. She works with the college’s young alumni and current seniors to increase engagement opportunities and increase philanthropic support. Karmell received a B.A. in Business & Nonprofit Management from Earlham College. Andrea joins the Institutional Advancement team after spending nearly 12 years cultivating volunteers and developing fundraising initiatives in non-profit organizations. In her most recent position, she served as the Executive Director of the Fairfield County Heritage Association in Lancaster. She earned her B.A. in History from The Ohio State University and her M.A. in Public History from Wright State University. Arielle joined the Annual Fund team in August 2017 as the Assistant Director of Campus Philanthropic Programs. She earned her Bachelor of Arts from Capital University where she studied Sociology, Philosophy, and Ethnic Studies. 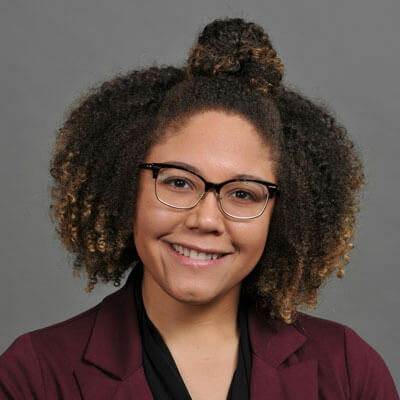 Arielle has been fundraising since 2012 and enjoys mentoring students while teaching them to cultivate philanthropic relationships with alumni, friends, and parents. Jessie earned her bachelor’s degree in technical and applied studies from Ohio University. She worked for over 14 years at a public community college, the last five of which were in that college’s Foundation office as Development Coordinator. Jessie joined the Denison team in August 2017 as the Assistant to the Director of the Annual Fund. She enjoys working in higher education and supporting Denison’s annual fundraising efforts to provide THE BEST college experience to its students. Eva received her B.S. at Ohio University in Health Service Administration. She has worked in fundraising since 2011 and developed a true passion for it. Eva worked with the University of Dayton Annual Fund where she managed their telefund program. She joined the Denison Annual Fund team in February of 2018 as the Associate Director of Leadership Gifts. In this position Eva reaches out to alumni and parents to engage and solicit for the Annual Fund at Denison University. Jaime joined the Annual Fund in October 2017. She has over 12 years of administrative experience. She previously worked as a Clerk for Environmental Health, Licking County Health Department. Jaime graduated from Mansfield University of Pennsylvania with a B.S. in Business Administration. Kelli has worked in the fields of prospect management and research since 2006. 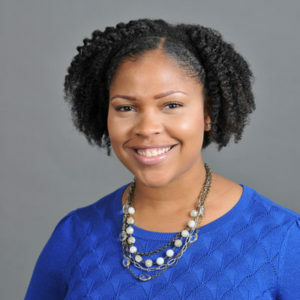 Prior to joining Denison University, she served for four years as assistant director for pipeline development at Ohio State's Wexner Medical Center. 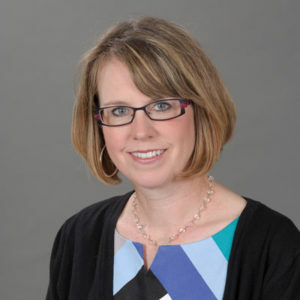 Before her tenure at OSU, Kelli worked as a research analyst at Ohio University and was the gift planning and research specialist at OhioHealth Foundation. She earned her B.A. in theatre arts from the University of Pittsburgh and has been a member of the board of Ohio Prospect Research Network since 2007. Kelli lives in Gahanna with her husband and two sons. Keena earned a B.S. in Education from Miami University. She currently serves as the Assistant Director of Advancement Operations for Systems. She is the liaison between Institutional Advancement and IT and is responsible for writing alumni and giving reports. 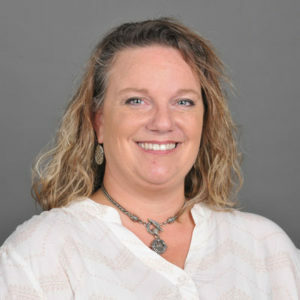 She has worked in the field of Information Technology for over 8 years and joined the Denison community in June of 2011. 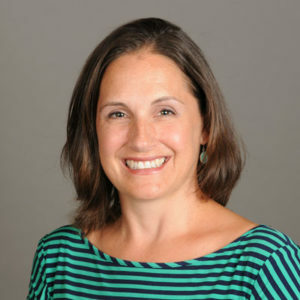 Sara joined the Denison Advancement staff in 2017. She currently serves as Development Research Analyst. She is the research and prospect strategy liaison for the Major Gift team. Prior to coming to Denison, Sara was at the Mount Carmel Foundation where she was most recently a Prospect Research Analyst. Sara has a B.A. in music from the University of Illinois, and a M.A. in music from The Johns Hopkins University. Sara currently lives in Delaware county with her husband and two dogs. Akeem earned his B.A in History and Spanish from Denison University. Following graduation, he lived in Lawrence, Kansas where he learned that Eastern Kansas is quite hilly. Akeem returned to Denison in the fall of 2014 as Administrative Assistant for the Annual Fund. After three years in that role, he moved to Advancement Operations where he is currently working as Reporting and Analysis Specialist. Michelle started as an Administrative Secretary in the Information Group in 1987. In 1994, she became a Records Analyst and Class Notes Editor within the same department and division at Denison. Over the years, the department and division names have changed...to Advancement Operations within the Institutional Advancement Division, and most recently her title, to Constituent Records Specialist. She is still predominantly responsible for bio-demographic updates to our alumni database, and for writing/editing class notes and obituaries for Denison Magazine. 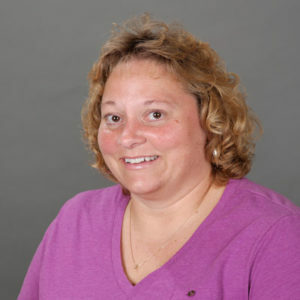 Lisa began her career with Denison in 2007 as a part-time administrative assistant in the Department of Athletics, Physical Education & Recreation. In 2012, she joined the Annual Fund team full-time, and supported four assistant directors with daily operations and the special events of their respective philanthropic programs. 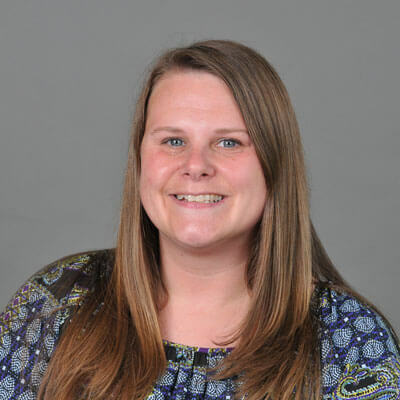 In 2014, Lisa transitioned to the office of Advancement Operations as a Constituent Records Specialist and is responsible for creating, enhancing, and updating accurate alumni, family, and friends of Denison constituent records while maintaining the highest level of data integrity. Sharon has been at Denison since 2017. Sharon earned a B.A. in Social Work and a Master of Public Administration from Wright State University. 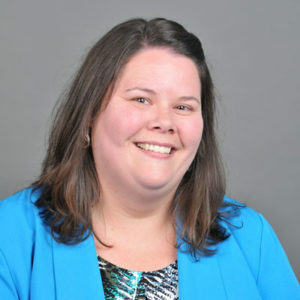 Prior to joining the Denison community, she spent 7 years at Wright State University and worked in the nonprofit sector. Meg Galipault was appointed Denison’s new director of foundation and corporate relations in September 2016. 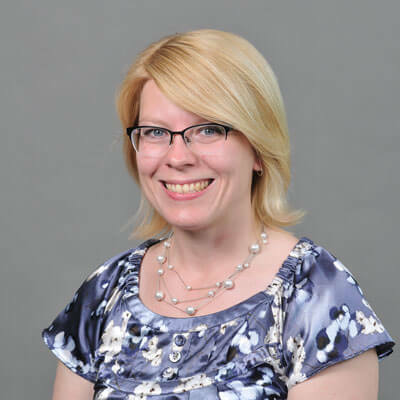 In this position, she researches and identifies prospects that align with Denison’s funding priorities, institutionally, collaborates with stakeholders to define projects, and writes proposals to request support. She also assists faculty members, in concert with the provost’s office, to identify, write and submit scholarship/research proposals. 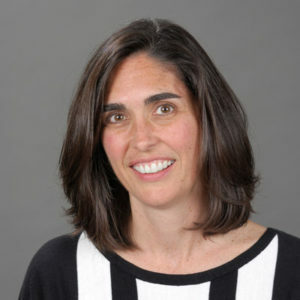 Prior to Denison, Meg was the corporate and foundation relations director at Kenyon College, 2007-2016, and managing editor of the Kenyon Review, 2002-2007. 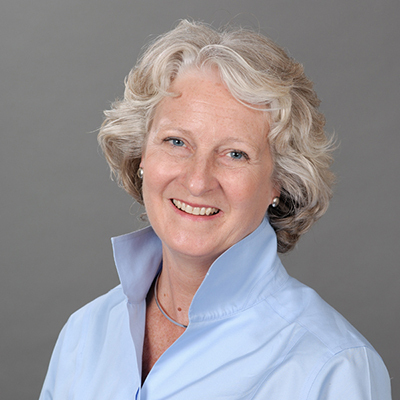 She has more than 25 years of experience in grant writing, corporate sponsorship, writing and editing. Meg earned her Bachelors of Science in Journalism degree from Ohio University.